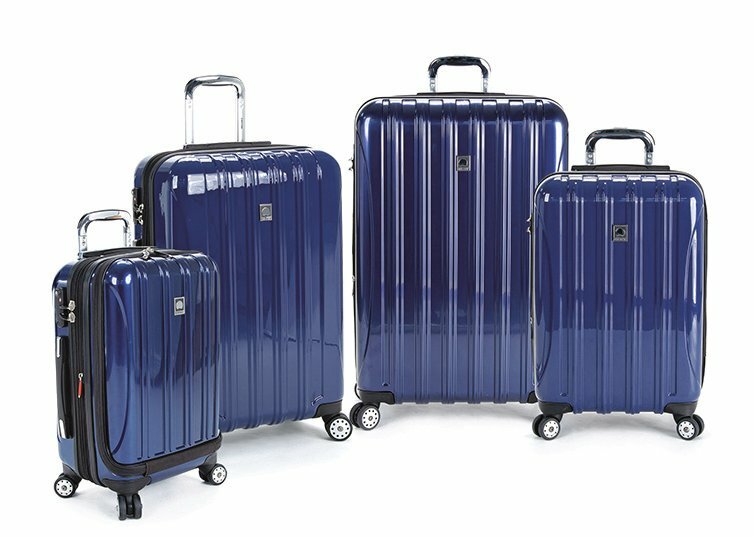 Delsey was chosen by MoneySense as the best luggage for durability. The carry-on costs $143. Among the most gratifying emails to have reached Ivan Lam came from a customer whose luggage was banged up. The damage was understandable. The suitcase had fallen several hundred metres off a cliff. The customer was writing to thank him because a camera inside the case was intact, says Lam, president of Samboro, the Canadian distributor for Delsey luggage. The model at right is a Delsey Helium Aero; search for it on YouTube and you’ll find a video of it surviving being pummelled with a hammer to Michael Jackson’s Beat It. The travel website skyscanner.net even dropped a car on a Delsey suitcase and it survived intact (if a bit warped). How? The shell is 100% polycarbonate, which is designed to bounce back from punishing blows. “A heavy hit will leave a dent, but it won’t crack,” Lam says. Trauma tests also help ensure a Helium Aero will survive to the end of its 10-year repair warranty. And a lightweight aluminum frame tempts you to toss it around: The Helium Aero line runs from 3.5 kilograms for a carry-on to 5.7 kg for the largest case (the cost ranges from $143 to $191). If you run afoul of your airline’s weight limit, you’ve probably packed too much stuff.